To the uninitiated, motorsport is nothing more than a pointless and dangerous test of bravado, amusement for a crowd that waits with bated breath to cheer at the misfortune of vehicular carnage. To those in the know, however, it's not only the pinnacle of sport, it's the ultimate expression of human development. To put it plainly, no sport on Earth has a more profound impact on your daily life than racing. If you've been in a car today, your life has been impacted by racing, and I'm not exaggerating even a little here. It's not even so much racing as it is competitive corporate research and development, disguised as sport. I recently went to Europe to spend time with some of Ford's motorsport engineers to find out just how far the influence of motorsport goes. The answer is profound: all the way down the rabbit hole, and then some. 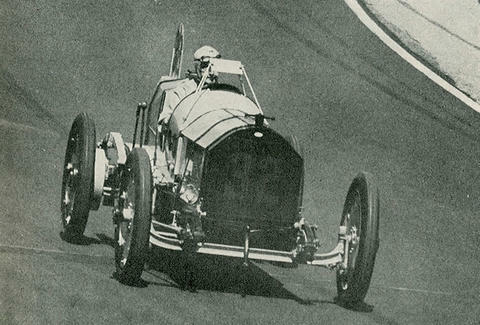 Over a century ago, a pioneering female racer named Dorothy Levitt had the idea to use a mirror to see what was behind her. A few years later, another racer by the name of Ray Harroun realized he could take the idea one step further, and permanently affixed a mirror to his car. This eliminated the need to carry a mechanic-slash-rearward traffic watcher on board at all times, thereby saving weight and making the car faster. Harroun won the very first Indianapolis 500, in 1911, as a direct result of that race-bred innovation, and the rearview mirror was born. Fuel injection? All-wheel drive? Dual-clutch transmissions? All of these very common technologies are directly derived from motorsport, and those are merely the most obvious examples. Even today, various race series like Formula One and the World Endurance Championship (in which the Le Mans prototypes compete) push the advancement of technologies that will be on your car in the near future. One of the most fundamental laws of the study of economics is the need for motivation. An efficient worker is one that is motivated to perform. Now, take a group of brilliant engineers with a passion for racing and drop them into the crucible of competition. When a problem appears on a race car, they have limited resources and extremely tight time constraints to work toward a solution, and in a competitive environment, neither failure nor error is an option. This environment forces engineers to, for lack of a better term, think outside the box, thereby developing and learning new methods to solve problems in the most efficient manner possible. In short, motorsport breeds a certain kind of genius in its engineers, and almost all car manufacturers -- even tire manufacturers -- take advantage. 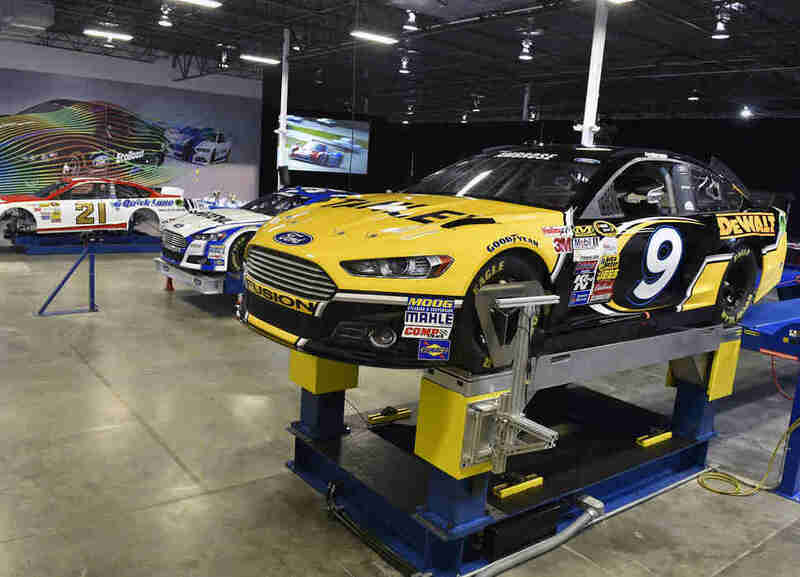 Ford regularly puts its "mainstream" vehicle engineers into its various racing programs, with what it calls the Motorsport Technology Exchange program. After learning so much from their stints in the competitive R&D world of motorsport, those engineers return to their mainstream vehicle divisions as team leaders, teaching new sets of employees these new ways of thinking. I'm sitting in Ken Block's tent in rural Germany at a racetrack that looks like little more than a trail in the middle of a valley. 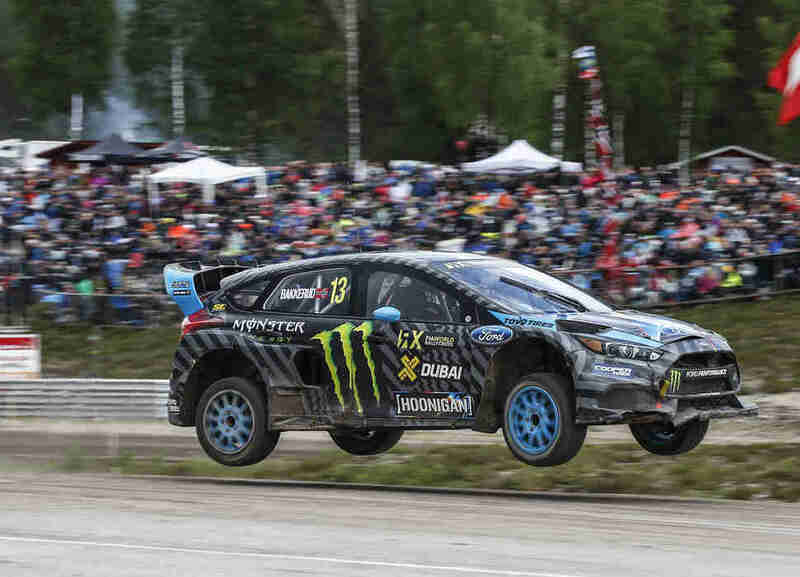 Ken comes in after a run in his World Rallycross Focus RS RX, a thoroughbred rally car that's so different from the regular Focus RS you'd be hard-pressed to find an original piece anywhere on the car. It's designed to be quick on both dirt and pavement, and to go over bumps and jumps so smoothly it doesn't upset the car in the slightest. Ken's not thrilled with the car's acceleration; specifically, a lack of traction off the line is costing him a fraction of a second at the start. He's immediately talking to one of Ford's top engineers as they set about analyzing data and finding ways to give the car just that little bit of extra quickness. Motorsports Should Be in the Olympics. Period. The engineer is Brian Novak, himself a racer, though not quite at this level. After he and Ken finish problem solving, Brian speaks with me about the similarities between setting up a race car and fine-tuning your average road car, like you or I drive. A rally car like Ken's is different from other race cars, because you have to soften the suspension in order to absorb bumps and maintain the maximum overall grip. In something more docile -- like a Lincoln, with which Brian was stationed prior to his motorsport post -- you take a similar approach. Softer suspension means a more comfortable ride, so long as the car remains smooth instead of bouncing all over the place. If you've ever braced for a harsh impact with a pothole, only to find it wasn't all that bad, chances are you have a motorsport engineer to thank for it. To have the skills and understanding that allow for that level of suspension tuning, the drivers and the engineers both form vast databases of knowledge -- the kind that can only be reinforced through practical experience. 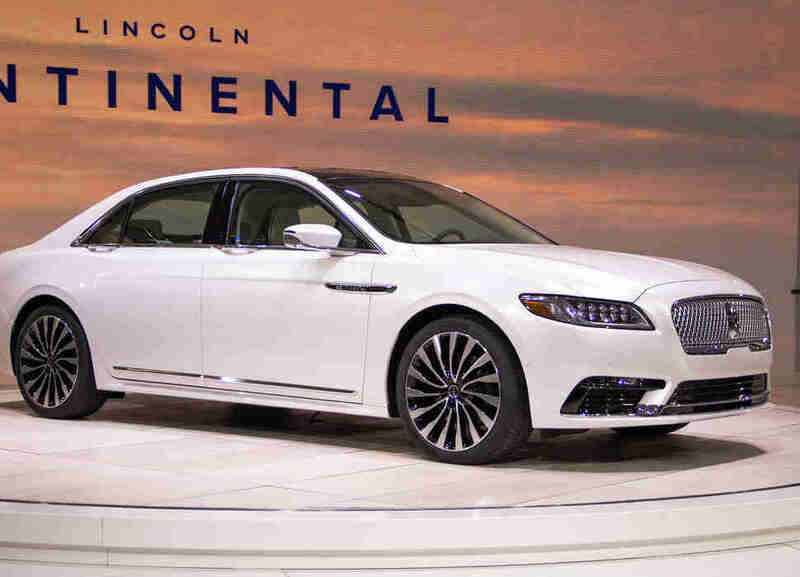 Many miles of test driving have to occur, after which drivers who are ultra-sensitive to every single motion within a car sit down with engineers and discuss minute changes -- think valves inside shock absorbers, or minor tweaks to a traction control system. If you've ever braced for a harsh impact with a pothole, only to find it wasn't all that bad, chances are you have a motorsport engineer to thank for it. When a car like the Shelby GT 350 or Ford GT is produced alongside a racing program that's based on the production car (which is done by a majority of manufacturers; see also: Corvette, Porsche, BMW, Audi, et al. ), there's an immense amount of information sharing. At every level, from managerial down to computer programmers working on an obscure algorithm related to chassis dynamics, both the motorsport and "mainstream" sides communicate with each other. If the race team finds a problem, it can address the issue with the road car development team, so those engineers can set about fixing a problem they didn't yet know existed, before it becomes a problem in your car. This contributes to not just a better product, but a much quicker development time, which means less cost to the company and, ultimately, you. How does an SUV, crossover, or minivan benefit from motorsport, beyond inventions like all wheel drive and rearview mirrors? In a word: efficiency. 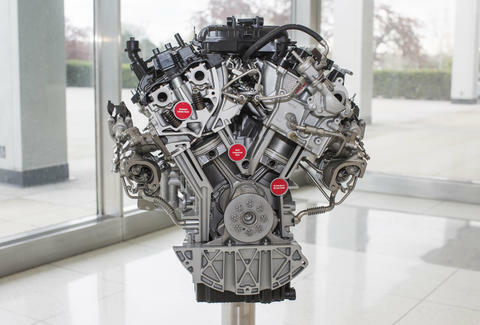 For example, an engine's efficiency can be measured in different ways. Without getting too technical, efficiency has a lot to do with how much work is derived from a given amount of fuel. A car that can get 75mpg is obviously very efficient, but then so is a car that gets 20mpg and has 700hp. Now, consider that the hardware and software used to analyze efficiencies is the same from the highest levels of racing all the way down to production engines. 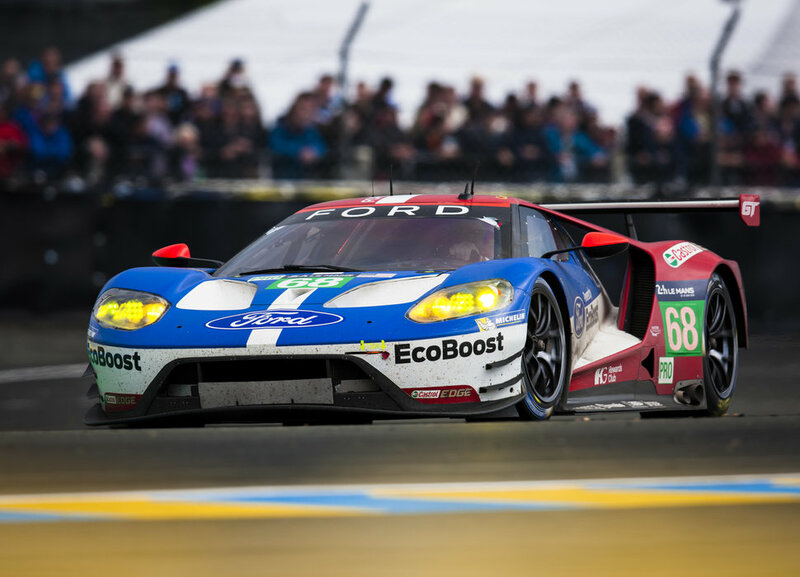 The program is refined by NASCAR engineers (and NASCAR is a sport in which an extremely precise understanding of fuel usage is absolutely critical), and it's then used by Ford GT's racing project. The guy in charge of maximizing Ford's racing 3.5L EcoBoost engines (i.e., the GT) does the same thing for the production engines that appear in everything from the Taurus on up. All the engineers have to do is take this motorsport-driven understanding of fuel usage, and apply it to the efficiency of the production engine. It's not just engines, either. The same philosophy is applied to wind tunnels (which ultimately dictate the shape of your car to enable better fuel economy in day-to-day driving), and to various chassis dynamics rigs that test how well a car's suspension reacts to bumps (so your car feels both more luxurious and in control over a railroad crossing, for example). All of these are engineering systems that are very finely tuned and advanced by the motorsport programs, and all of these are used in the development of just about every single car and truck on the road. Again, this goes on with most manufacturers, which is why you see so many different brands competing in motorsport. In Formula One, in order to maximize -- you guessed it -- efficiency, every single electrical facet of the car runs through a single control unit because that's the least-heavy solution possible (by comparison, your typical luxury car currently has over 100 electronic modules). That single ECU (shown) has to process a tremendous amount of data at supersonic speed, literally: You can know a driver changed gears by seeing the data on a laptop in the pit lane before you even hear the change out on track. 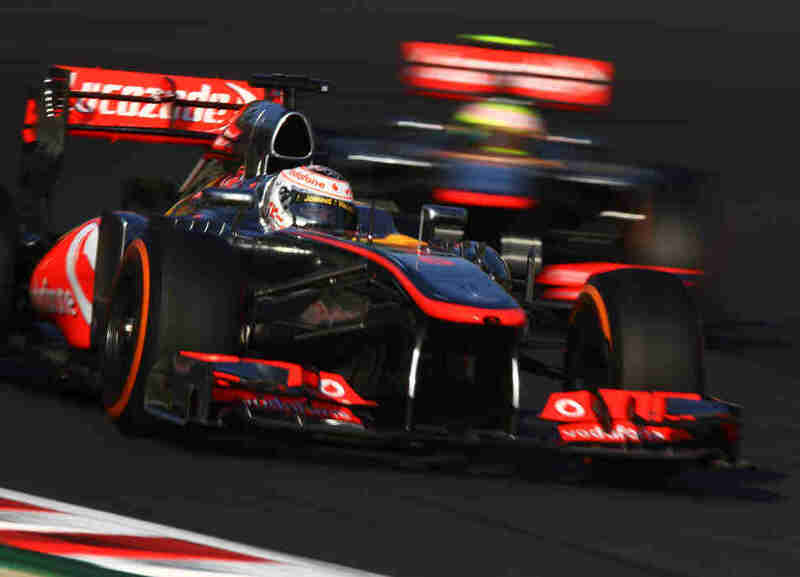 McLaren, as just one example, takes all of the car's real-time data, adds in every variable its engineers can think of -- from what's going on with the car, to how quick the competition is, to even the weather forecast -- and throws it into a self-adapting algorithm that it developed specifically for race strategy. 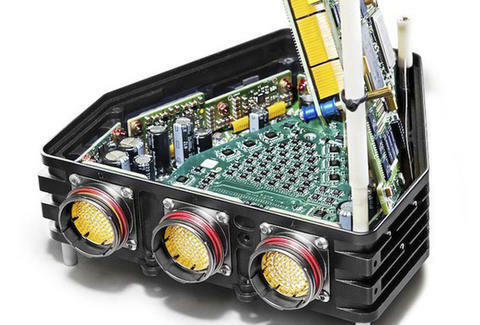 Basically, the company invented an artificial intelligence to work with that bespoke ECU, and it perpetually analyzes the race and predicts the most efficient strategies -- like the racing version of chess. If you want a glimpse into the future, think about both of those technologies working in concert with an array of sensors as a self-driving car navigates its way through traffic and communicates with other vehicles. No wonder Apple had such a keen interest in buying McLaren. 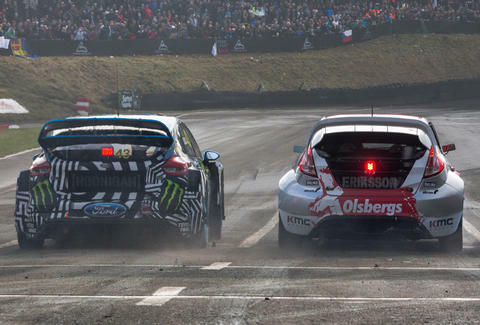 The ultimate goal of motorsport? Make your car cheaper and better. Yes, I've written the word "efficiency" many times here, and it truly applies at every level, but when you look at motorsport from an overarching corporate perspective, the ultimate goal is to produce better road-going vehicles in less time and for less cost. Your car is cheaper and better as a result of drivers racing on the weekend. For everything that motorsport is -- the daring drivers, the glorious race cars, and the marketing campaigns with classic slogans like "Win on Sunday, sell on Monday" -- what you really have is a tool for refining the new car development process in the most economical way possible, using competition as an instructor, motivator, and test bed along the way. Virtually every single vehicle is impacted by motorsport, and your car is cheaper and better as a result of drivers racing on the weekend, and engineers racing Monday through Friday. With all due respect to Hemingway, mountaineering, and bullfighting, show me another "sport" that can do anything close to that. Aaron Miller is the Cars editor for Thrillist, and can be found on Twitter and Facebook. He'd like to point out that this is truly only scratching the surface of motorsport's impact on road cars.